The International Society for Archeology, Art and Architecture of Rome (ISAR) è un’Associazione no-profit italiana nata con lo scopo di promuovere lo studio, la conservazione e la valorizzazione del patrimonio culturale di Roma, tra i più rilevanti al mondo. La mission di ISAR è quella di offrire il proprio contributo allo studio ed alla valorizzazione di tale patrimonio attraverso l’organizzazione di ricerche, corsi di formazione, seminari, conferenze, pubblicazioni nel campo dell’archeologia, della storia dell’arte, dell’architettura e della cultura di Roma. Lo staff dell’ISAR è composto da archeologi, architetti, storici dell’arte, restauratori ed operatori tecnici specializzati in Beni Culturali, italiani e stranieri, la maggior parte dei quali stabilmente residenti a Roma. In più, l’ISAR organizza periodicamente incontri e lezioni invitando studiosi di tutto il mondo, professori, funzionari di soprintendenza e membri di istituti stranieri. Grazie ad un approccio multidisciplinare e dinamico, ISAR è in grado di offrire ai propri sostenitori e partecipanti ottime possibilità di formazione e ricerca ed un rete di contatti nel mondo delle istituzioni romane della tutela e della ricerca indispensabile a chi voglia operare in questo campo. 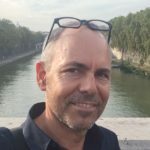 A graduate from the Rome University “La Sapienza”., for over twenty five years Cirone has directed stratigraphic investigations in urban and suburban sites in Rome and around Italy. 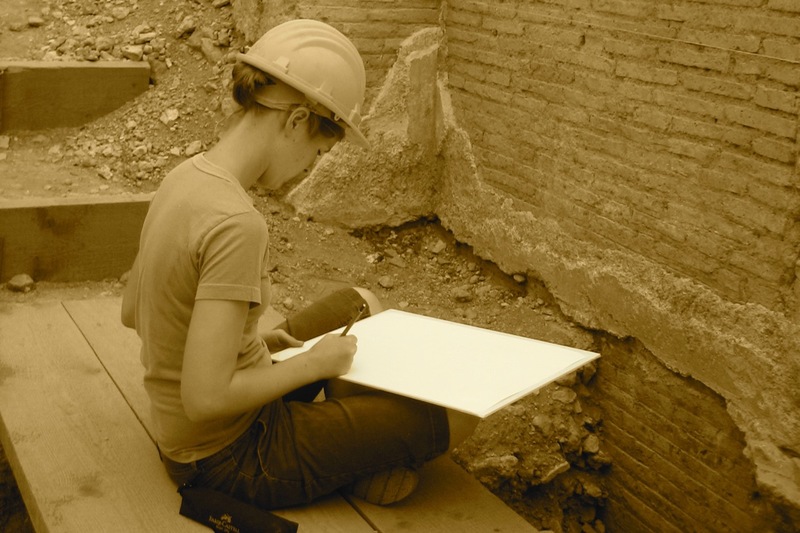 Since 1993 she has served as an expert in analysis and conservative restoration for archaeological and architectural projects carried out in various parts of Italy. In particular Cirone’s work has focused on the aanalysis and assessment of vulnerability and the risk to cultural heritage sites, part of larger Italian Cultural Heritage Risk Charter managed by Central Institute for Restoration. She has co-directed international research projects in Rome Post Aedem castoris / Roman Forum and Villa Vignacce Project and, since 2007, co-director of the international ‘Borgo Abruzzo’. project For many years she has been involved in educational and cultural dissemination for university students, both Italian and foreign, and professionals (architects, engineers and restorers) in specialized courses on behalf of Rome University “La Sapienza” and University Tor Vergata, private and state organizations, and for various cultural associations. She has multiple scientific publications to her credit. De Cristofaro studied at Rome University Tor Vergata and the Rome University “La Sapienza”, receiving a PhD in “Classical Antiquities and their Fortune.” He specializes in Preventive Archaeology and, for over fifteen years, has directed stratigraphic excavations in urban and rural areas, in Rome and elsewhere in Italy. He has participated in several international research projects (Post Aedem Castoris / Roman Forum, Ostia Synagogue Project, Villa Vignacce Project), carrying out research and teaching activities. In 2008, he founded the publishing house IUNO, specializing in archeology and art history texts. For many years he has carried out educational activities and cultural dissemination for associations, corporations, and private groups. Among his main fields of interest are the Topography of Rome and its Suburbs, Archaeology Roman and Etruscan-Italic, the History of Ancient Art, the History of the Classical tradition. Numerous scientific and popular publications and participation in national and international conferences to his credit. A classical archaeologist, graduated from the University of Rome “La Sapienza”, with a degree in Surveying and Technical Analysis of Ancient Monuments; from the same university has since specialized in Social Museology. From about twenty years directing excavations and research in the area of Rome, Lazio and Southern Etruria. Since 2004 collaborates with the Institute for the Study of Antiquity and Christian Origins at the University of Texas at Austin, dealing with the teaching and study of ceramic finds from the excavations at the Synagogue of Ostia Antica; between 2005 and 2008 has a cooperative agreement with the National Research Council as part of the international project for the construction of the Virtual Museum of Baghdad. Since 2009 she has coordinated a multidisciplinary research project on the Jewish catacombs of Rome and in particular those in Monteverde, curating, in agreement with the Superintendence for Archaeological Heritage of Rome, the publication of the first results in a volume entitled “The Jewish Catacomb of Monteverde: old Data and New Discoveries,” and leading a specific course on the subject on behalf of the Province of Rome. American architect Tom Rankin has lived in Rome, practicing architecture and teaching, since 1991. He received his Master’s in Architecture at the Harvard University Graduate School of Design, a BA in Architecture at Princeton, and a “Laurea” in Architecture at Università di Roma ‘La Sapienza’. He was founder of the successful non-profit cultural travel association Scala Reale and continues to support culturally and environmentally sustainable travel as a partner in Context Travel and CEO of the travel consulting business Studio Rome. Tom teaches at the at Università di Roma “La Sapienza” (School of Engineering), the California Polytechnic Rome Program in Architecture and the Iowa State Rome Program. He is a Fulbright, a proprietor of the Boston Athenaeum, a founding member of ISAR (isarome.org) and Director of the association Tevereterno Onlus. Tom is the author of Rome Works: An Architect Explores the World’s Most Sustainable City and has written numerous articles on sustainable urbanism and presented frequently at conferences. His blog on the Still SustainableCity was chosen by Guardian Cities as the best Italian city blog and is a reference point for sustainable urbanism in Rome. You too can get involved through contributing to our projects in Rome. Information on tax-deductable donations and volunteer opportunities contact info@isarome.org.